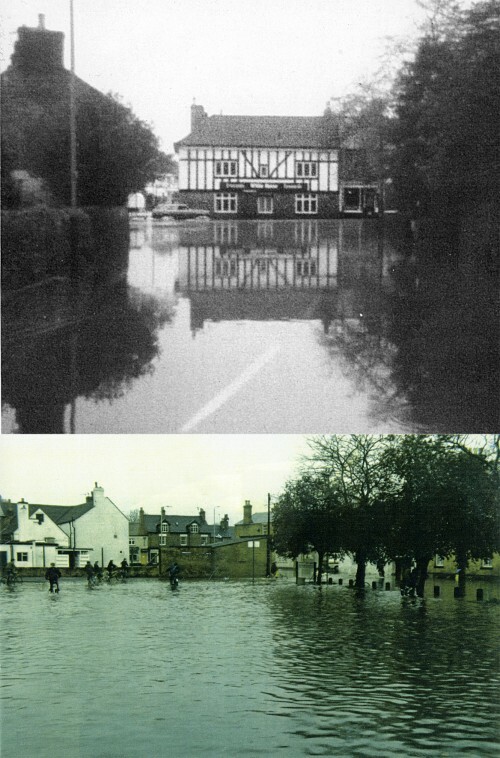 The first photograph was taken during the floods of 1986, looking up Meeting Street, towards the White Horse pub on Quorn Cross. It is believed that the second photograph was taken in the same year. The photographer was standing by the old lock up on Station Road, looking across the car park towards the end of the White Horse. These photographs were kindly lent to Quorn Village On-line Museum for scanning by Barry Montgomery who was landlord of the White Horse pub from 1982.